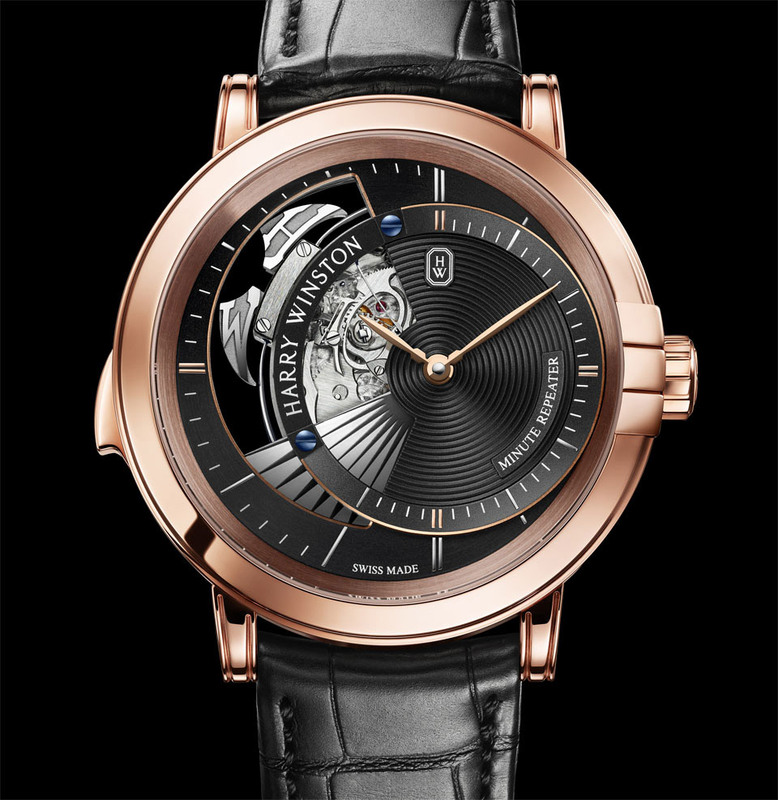 The minute repeater is one of the most exclusive and fascinating watch complications. To ring the hours, quarter hours, and minutes, a repeater uses an incredibly complex system of racks and levers to determine the position of the hour and minute hands and then cause the hammers to strike the steel circular gongs in a precise sequence. No two repeaters are alike. The tempo, tone, and volume of each are the result of laborious hand-adjustment, and so, each repeater is a unique work of art. 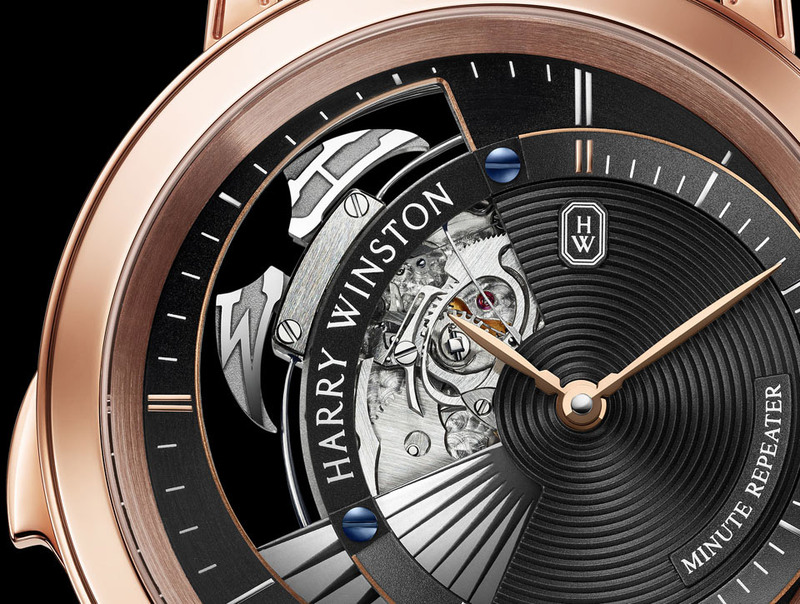 The new Harry Winston Midnight Minute Repeater allows its owner to fully experience the mechanical fascination of this remarkable complication. 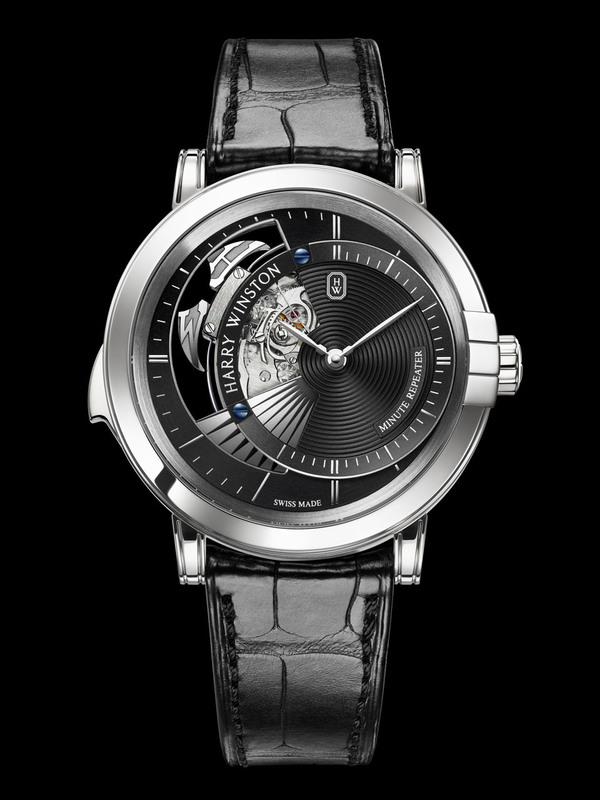 In fact, the design of the dial allows the wearer to observe several repeater components in operation. 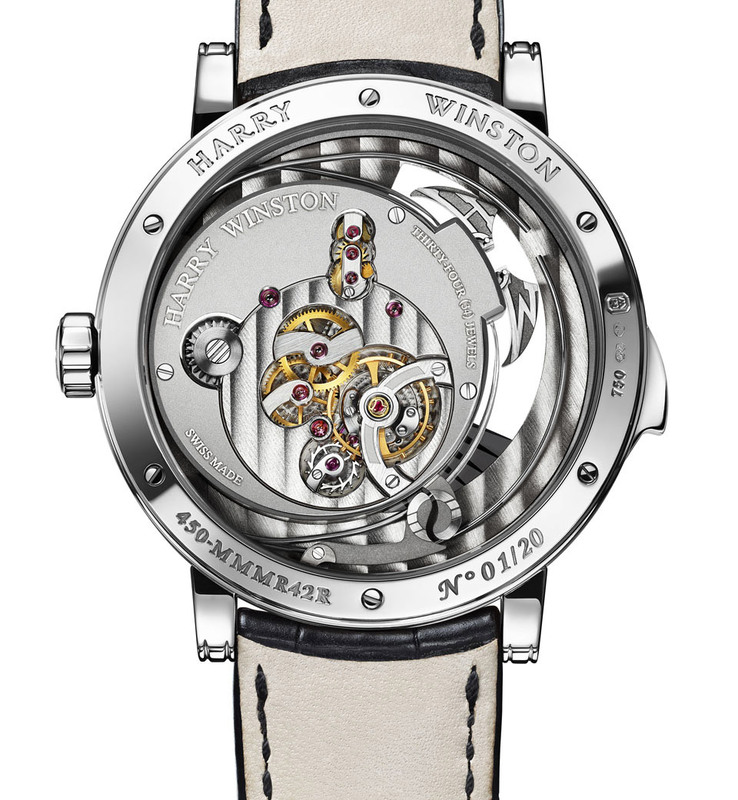 Thanks to excentered hours and minutes dial, the two hammers - embellished with the letters H and W - can be seen as they strike the gongs. The calibre of the Harry Winston's Midnight Minute Repeater is composed of 369 parts and has a power reserve of 38 hours.